I am one of the organizers of a three day conference on neuroaesthetics that takes place at the University of Copenhagen from September 24 to September 26. If you are interested in the relation between art and the brain please consider joining us for what I believe will be an exiting event. 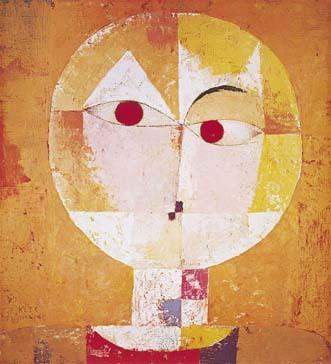 Neuroaesthetics is a fairly new field of inquiry. This conference is convened to discuss the state of the art of the field. It will bring together a number of leading researchers working on all aspects of neuroaesthetics. The conference will include sessions on Visual Art, Music, Literature, Dance and Film, Aesthetic Preferences, Neuropsychology of Art, Experimental Aesthetics, and Evolutionary Aesthetics, as well as one poster session. You can download the full program here. Among the many great speakers who will speak at the conference I will only mention a few: Anjan Chatterjee (University of Pennsylvania), Ellen Dissanayake (University of Washington), Karl Grammer (Ludwig-Boltzmann-Institute for Urban Ethology), Torben Grodal (University of Copenhagen), Andrea R. Halpern (Bucknell University), Stefan Koelsch (University of Sussex), Helmut Leder (University of Vienna), David Miall (University of Alberta), Christa Sütterlin (The Max-Planck-Society), and Dahlia W. Zaidel (UCLA). There will be many more. Please take a look at the whole program at our conference website where you can also register for the event. In March, the Center for Academic Research & Training in Anthropogeny hosted a conference on the “Evolutionary Origins of Art and Aesthetics”. The list of speakers was pretty impressive. Luckily, the lectures were taped and are now available on You Tube. Here is a video with lectures by Antonio Damasio on emotion, Helen Fisher on love, and Isabelle Peretz on music. I will probably post some of the other talks at a later point. I am sure loads of you neuroscience buffs out there will be interested in hearing that a new book on neuroaesthetics has just been published. Edited by myself and Oshin Vartanian, it is published by Baywood. You can buy it directly from Baywood, or from retailers such as Amazon. To learn more about the book, read the introduction [pdf]. Research into the neurobiology of aesthetic behavior, one of the truly unique human traits, has undergone a revolution in the last ten years. In large part due to the possibility of imaging the human brain in various non-invasive ways it has become possible to investigate the neural mechanisms behind the perception of visual and auditive art, creative behavior, or aesthetic valuation of works of art. Quite a few psychologists and neuroscientists have heeded this call.The result is an ever-increasing number of research reports in peer-reviewed journals. Still, many of these results remain unknown, even overlooked. To take an example, when science writer Jonah Lehrer recently wrote a short article entitled “Unlocking the mysteries of the artistic mind” in Psychology Today, he restricted his discussion to a rehash of Semir Zeki [pdf] and V.S. Ramachandran’s [pdf] two famous papers published ten years ago in the Journal of Consciousness Studies. True, these two papers in many ways ignited the recent interest in neuroaesthetics, but much have happened in the decade since, and one of our ambitions in publishing this new book lies in the highlighting of this body of work. I shall not be the judge of whether or not the book accomplishes these goals. But I do hope that some of you will take the time to take a look at it. I don’t know about you, but I often get fascinated by the mere visualization of brain imaging data. Aside with the neuroimaging blobologies, but looking at more detailed visualizations of brain parts and processes strike me as merely beautiful and fascinating. And, as the fascination of looking at a star may be deepened by knowing more about that exact star (e.g., it’s the leftovers from a supernova), knowing what you see in the image of the brain may provide more understanding of what we see, and why it looks just that way. Photomontage showing two consecutive coronal sections of an E12 mouse embryo after 24 hours of being in toto culture. After a CFDA injection into the rostro-medial telencephalic wall, labeled cells (green) migrate tangentially by the ventral telencephalon and reach the olfactory cortex, which is immunohistochemically stained against calretinin (red) and calbindin (pseudocolor orange). The blue color shows the DAPI unspecific staining of nuclei. Superimposed, the black and white figure shows an embryo head injected with the fluorescent tracer DiI (red). Or, put more simple, it’s an image showing how cells migrate during embryonic development. The article can be found here. Since May 8 Nature has published nine essays – one per week – on contemporary music research. Reflecting the recent extraordinary advances made in our understanding of how the brain perceives music many of the essays focus on results coming out of neuroscience labs (although they also mention workbased on anthropology, acustics, statistics, as well as other disciplines). Among the authors are some of today’s preeminent musicologists, including David Huron, Laurel Trainor, Aniruddh Patel, and John Sloboda. Together, the nine essays touch upon a number of music research’s hardest and most intriguing questions such as the question of why we prefer some combination of pitches and rhythms to other, or the question of whether or not any of the processing mechanisms underlying the experience of music are shared with other cognitive abilities, expecially language. With the publication of the last essay Nature has made all nine essays available for free. Go to this site where it is also possible to download a special edition of the Nature Podcast containing interviews with two of the authors, Philip Ball and John Sloboda. I spend the morning reading all nine essays, and while they are all highly engaging I couldn’t help thinking that we still deperately need a comprehensive review of the whole range of neuroscience research on music conducted in the last five or ten years. The only book even attemting to introduce this body of work in a popular form is Daniel Levitin‘s This is Your Brain on Music, and I think it is fair to say that this book only manages to cover but a fraction of the many, many exiting results currently being published. Could this be a job for the incomparable Carl Zimmer? 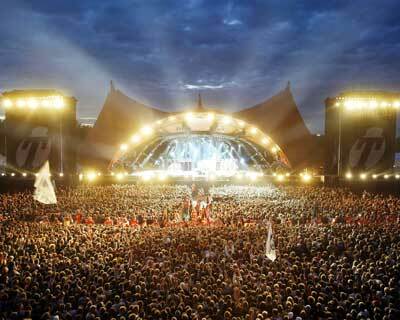 The photo shows some 70.000 people convening at the Roskilde Festival here in Denmark to enjoy four days of music. Why? Vil neurobiologien blive det nye paradigme for forståelsen af, hvad kunst er? Et af æstetikkens vanskeligste problemer er kunstnerisk kreativitet. Man kan forestille sig, at dette problem kunne belyses ved et aktivt samarbejde mellem hjerneforskere og kunstnere. Sigtet med dette seminar er at føre kunstnere og neuroæstetikere sammen til en diskussion af konsekvenserne af de senere års forskning i hjernens funktioner. Hvilken rolle spiller centrale neurale processer som perception, hukommelse og følelser for kunstnerens skabende proces? I 1990’erne havde den postmoderne filosofi en enorm indflydelse på kunstnernes konkrete praksis. Vil neuroæstetikken kunne få en lignende indflydelse? Admission free! Registration not necessary.